September is best known for bringing the change of seasons, from summer to fall. 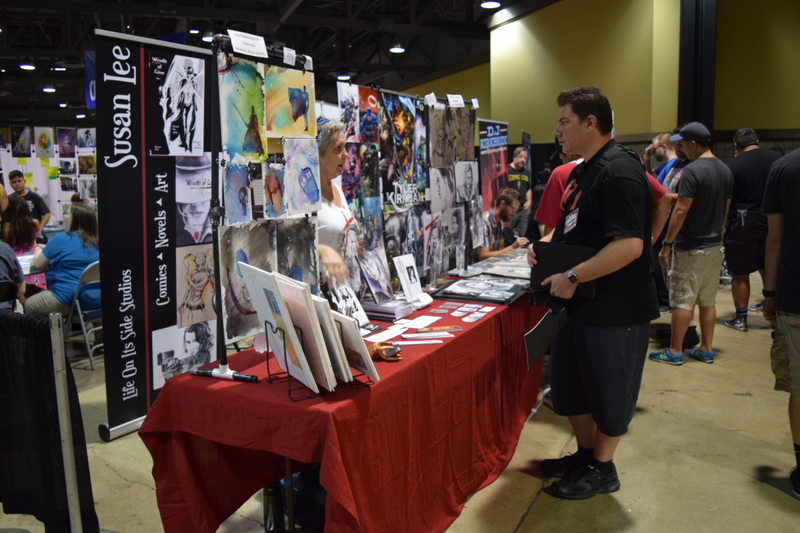 In Southern California, September is also known for one of the best comic book conventions on the West Coast, as the Long Beach Comic Con (LBCC) returns to the Long Beach Convention Center on September 8th and 9th. When you think of a comic book convention, naturally you want to connect with the people who make the actual books. This year, LBCC boasts some of the best and upcoming comic book publishers. Publishers attending includes Valiant Entertainment, which is home to such iconic properties as X-O Manowar and Bloodshot. IDW, which brings the world comics for many of the hallmarks in the pop culture industry like Transformers and G.I. Joe. Fairly new publisher AfterShock Comics will be on hand as well, as the publisher has made quite the name for itself with their variety of books and top notch talent. No stranger to Southern California, Aspen Comics will be on hand as well, which publishes the popular Aspen, Soulfire, and Lola XOXO books to name a few. Other publishers include Source Point Press, Prism, Charon, and Alterna Comics, which is the new home for newsprint comic books, a throwback, and homage to the roots of comic books. Celebrities are another big part of any convention, and the LBCC has plenty. Guests include co-creator of the Teenage Mutant Ninja Turtles, Kevin Eastman, critically acclaimed author Christopher Priest, longtime comic book artists Jim Calafiore and Marco Finnegan, Southern California native writer Melina Chavarria, Vertigo Comics writer Eric M. Esquivel, Rough Riders creator Adam Glass, Red Hook creator Dean Haspiel, with stars from the KnokX Wrestling promotion on hand as well. Cosplay is a massive part of any comic convention, and there will be professional cosplayers on hand as well, including Ivy Doomkitty, SLC Green Arrow, Angi Viper, Wonder Woman is Real, and Asta Young. Of course, many of the attendees will be cosplaying as well, making for a superhero universe spring to life. Tickets are still available for the Long Beach Comic Con. Visit longbeachcomiccon.com for tickets and more information.